Keep the vase filled or floral foam soaked with water containing a flower food provided by your florist. At Hatcher florist we use specific food for each type of flower. If you can't get your flowers in a flower food solution right away, keep them in a cool place. If the florist did not give you floral preservative you can use half water and half lemon or lime flovoured soda pop plus two or three drops of bleach in the water. 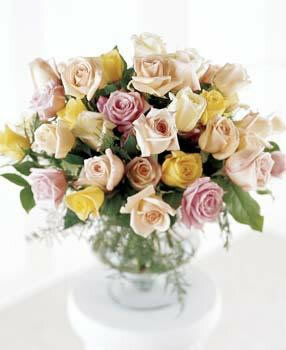 Fill a clean,deep vase with water and add the flower food obtained from your florist. Be sure to follow the directions on the package. Best not to use a metal vase. When selecting flowers, look for flowers with upright, firm petals and buds beginning to open. Yellow, spotted, black or drooping leaves are signs of age. When using woody stems and branches (such as quince, forsythia or lilac), cut the stem with sharp pruning shears. Place in warm water containing fresh flower food to promote flower opening. Never crush the stems.